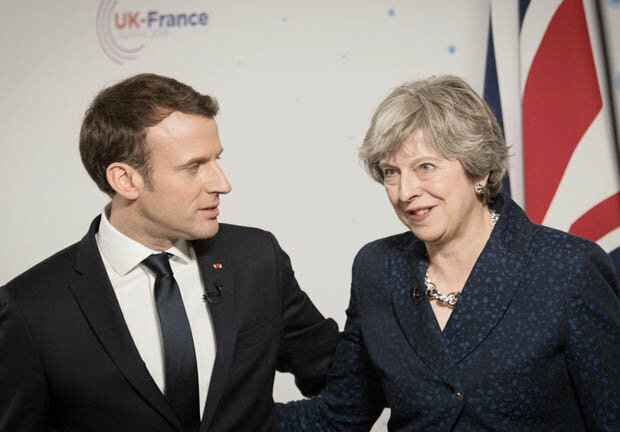 The “Joint action plan by the UK and France on combating illegal migration involving small boats in the English Channel” sea crossings is, primarily, a symptom of the desperation, untenable conditions and lack of safe and effective routes to seek asylum faced by displaced people in Northern France. Until these root causes are addressed, asylum seekers will continue to take perilous journeys in their attempt to seek sanctuary in the United Kingdom. The 1951 Refugee Convention and the subsequent 1967 Protocol, ratified by both the UK and France, assert and protect the right of individuals to seek asylum. Yet you consistently refer to the women, children and men in the Northern France area as ‘illegal migrants’. We would like to remind you of your obligation to assess each displaced person’s asylum claim, before pre-judging the outcome and assigning them a certain legal status. The majority of the displaced community in Northern France originate from countries that are well-known for their persecution (including, but not limited to, Iran and Eritrea) and others plagued by war, conflict and generalised violence (including, but not limited to, Afghanistan, Iraq, Syria and Sudan). According to §14 of the ‘Joint Action Plan’, and if recent media reports are to be trusted, you will be sending asylum-seekers back to France without allowing them to have their claims assessed adequately in Britain. This violates both their rights and the UK’s obligations, as established above. Those who arrive by boat have the same right to have their asylum claim fairly assessed, as do others arriving by different means. We have seen little evidence of the £3.6 million Development Fund, allocated by the Sandhurst Treaty in January 2018 to improve the process for those seeking asylum in the UK, in action. The UK has spent, and continues to spend, vast sums of money on policies in Northern France thatneither support the displaced population nor address the causes of their irregular crossings. There has been little evidence of the £3.6 million Development Fund, allocated by the Sandhurst Treaty in January 2018, in action. Organisations on the ground, including those who have co-signed this letter, affirm that its impact on asylum procedures and the living conditions for those in Northern France has been negligible at best. The Joint Action Plan commits a further £6m of public funds to fortifying the border, and thus perpetuates the British government’s prioritisation of a buttressed concept of state security over the rights and protection of vulnerable individuals. We further note with concern that, in §6, the signatories appear to conflate such spending with the protection of Britain from terrorism. This contributes to the legitimisation of rhetoric which collapses the topics of asylum, migration and counter-terrorism into one, and narratives which frame asylum-seekers as a threat to public safety. In §2, you assert that recent security measures have been a ‘success’, but also note that they are one of the reasons that individuals have attempted perilous journeys across the Channel in order to seek asylum. In short, it follows that the measures have succeeded in pushing vulnerable individuals to take greater risks and forcing smuggling networks further underground. Furthermore, such a claim seeks to detach the dire conditions in Northern France from the reasons that drive people in to small boats at night. By placing the emphasis on the evasion of border security, it removes individuals’ actions from the context in which they exist. In Northern France, that is one characterised by ongoing police violence and harassment; a lack of effective access to asylum procedures; and a profound lack of shelter and support for vulnerable people. Prior experience of destitution and precarity elsewhere in Europe, coupled with the knowledge that any informal settlements and shelters re-emerging in the Northern France area would be imminently demolished, seems to be a key motivator for displaced individuals to accept any possible ‘exit plan’ available. The ongoing government response to human suffering in Northern France appears to consist of dispersals and push-backs, arbitrary detention and removals, evictions and demolitions, the blocking of humanitarian aid, sanitation and medical care, potentially intentional sleep deprivation and the overall criminalisation of solidarity. This raft of measures has contributed to the continuous application of structural and physical violence against displaced people in the area, driving individuals to take desperate measures. It is of utmost importance that the ‘strategic communication campaign’ referred to in §13 has, as its ultimate aim, the goal of ensuring that vulnerable individuals are familiar with and can access the support that they need, including the processes by which they can seek asylum in the UK (including Dublin III and s. 67) or in France. It must be designed in collaboration with aid groups operating in the Northern France, and ensure that any information is presented in an accessible, sensitive and child-friendly manner. In sum, your approach chooses to ignore not only international law, but also the wider context of asylum in Europe, and asylum seekers’ individual circumstances. We invite you to enter into dialogue with us about these matters.